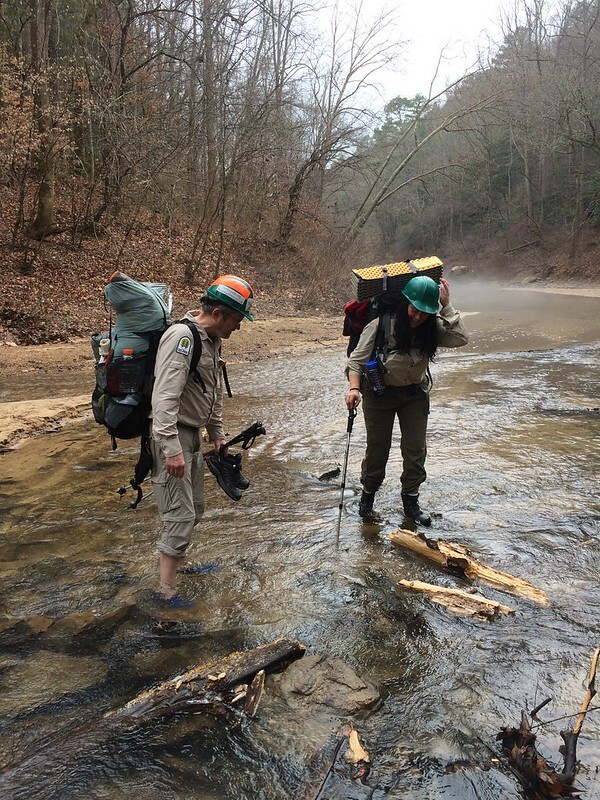 Every year on the weekend that coincides with the recognition of Martin Luther King Day, our Alabama Wilderness Volunteer Coordinator, Kim Waites, takes a group of our Volunteer Wilderness Rangers on a four day, three night backpacking trip to one of the three wilderness areas in AL. 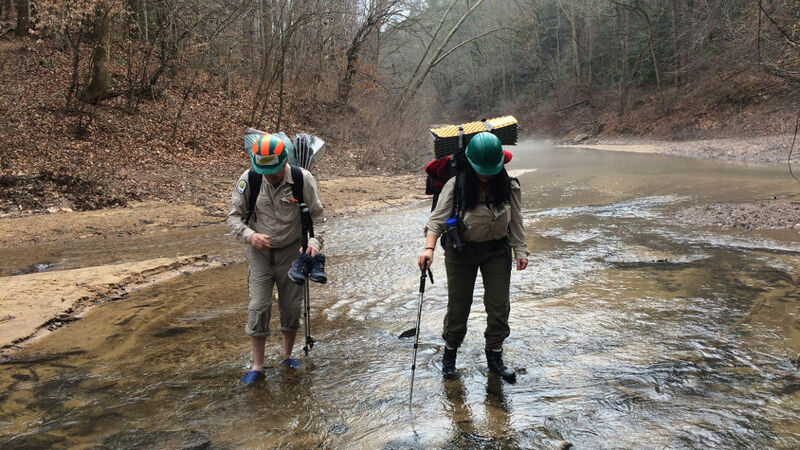 This year, six of our volunteers, joined Kim in the Sipsey Wilderness. The group embarked on their adventure by noon on Friday and returned to civilization on Monday by noon. Low mileage days and camping in the same spot for two nights allowed them for maximum interface with wilderness visitors. The weekend saw unusually high temperatures and no rain. Lows in the 50’s at night and highs in the 70’s during the day. The wilderness was crawling with backpackers and day hikers down in the very heart of the wilderness, especially Bee branch. Check out our photo journal of the trip. Rangers accomplished many tasks including light trail maintenance, giving directions to wayward hikers, putting out abandoned fires and even assisting two lost teenagers that were in the heart of the wilderness one hour before sunset. Their dedication and service never ends!